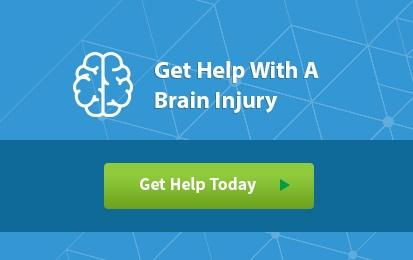 Learn about some of the most common types of traumatic brain injury. Traumatic brain injuries (TBI) are the most common variety of brain injuries, affecting as many as 1.7 million people and claiming 52,000 lives annually. The trauma in this term refers to the physical trauma of a blow to the head, but not all blows to the head produce the same level of damage. Some TBIs are relatively minor, causing only short-term symptoms. Others produce massive brain damage that can permanently undermine a survivor's ability to function. No matter how serious an injury seems, it is impossible to diagnose a TBI based on symptoms or the severity of the blow alone. If you or someone you love suffers a blow to the head, seek prompt medical assistance. Doing so could save your life, and may also prevent many of the devastating long-term effects of brain injuries. It's important to note that traumatic brain injuries aren't the only way the brain can be injured. Non-traumatic brain injuries can be equally devastating. To learn more about non-traumatic brain injuries, see "Types of Acquired Brain Injuries." 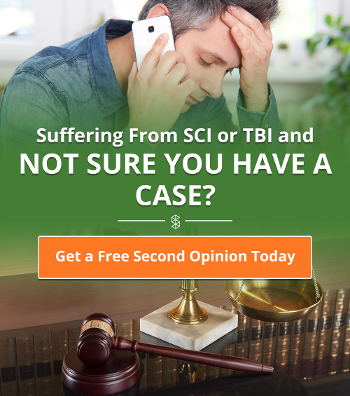 A coup-countrecoup brain injury occurs when there is significant impact to the brain that causes the brain or skull to slam into the opposite side of the site of impact. The result is damage at the impact site, as well as on the opposite side of the brain. Though any injury can cause a coup-contrecoup brain injury, these incidents are often especially violent, producing immediate symptoms. 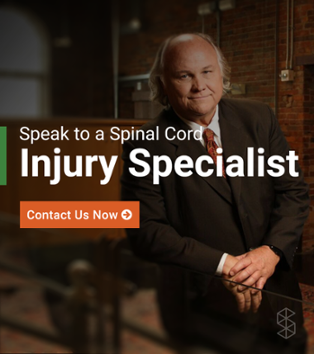 Serious car accidents, blows to the head, forceful falls, and acts of violence are particularly adept at producing these injuries. Because coup-contrecoup brain injuries require significant impact, the symptoms are often severe, and survivors may need extensive support to recover. The specific prognosis, though, depends on the location of the impact, the severity of the blow, overall brain health, age, and other personal factors. A concussion, sometimes called a mild traumatic brain injury (mTBI), is the most common type of brain injury, accounting for hundreds of thousands of emergency room visits each year. Commonly caused by a sudden blow to the head, a concussion jolts your brain, causing the brain to accelerate in the direction of the force. In other words, a concussion shakes your brain. Concussions range from mild to quite severe. A generation ago, most doctors believed that concussions were little more than inconveniences. We now know that a concussion can cause life long damage. People who suffer multiple concussions may experience concussion-related syndromes. People who suffer frequent concussions may develop a condition called chronic traumatic encephalopathy. Especially common among professional football players, this form of brain damage can permanently change mood, behavior, and brain function. A contusion is simply a bruise—a mild form of bleeding under the skin. Brain contusions are similar to concussions, and often occur in conjunction with them. If a brain contusion does not stop bleeding on its own, it may need to be surgically removed. The extent of damage associated with a brain contusion depends on the size of the bleed, the length of time it lasts, the effects of surgery, and the location of the injury. A diffuse axonal injury (DAI) is similar to a concussion in that it results from the brain moving, but much more serious. With a DAI, the head so violently moves that the brain stem cannot keep up with the rate of movement, causing tears in the connections of the brain. These tears can be microscopic, producing varying degrees of brain damage. They can also be quite large. Tears that are sufficiently large can be fatal. The severity of symptoms with this type of injury is largely dependent on the brain areas affected, the severity of the tears, and whether any other injuries—such as a contusion or concussion—were also sustained. Just as a scab that is reopened takes longer to heal and may produce a scar, a second brain injury when you've already sustained a first can cause more catastrophic damage. Sometimes called a recurrent traumatic brain injury, the effect of second impact syndrome depends on the location of the injury, the severity of the first injury, and the degree of trauma sustained. A second impact is more likely to cause severe brain damage than a first, even if the victim does not lose consciousness. If you suffer a blow to the head in the months following a brain injury, seek prompt medical care, even if you feel fine. Shaken baby syndrome is similar to diffuse axonal injury, but tends to produce more global effects. Now considered a form of criminal child abuse in most places, it often results from parents' frustration with incessant crying. Shaken babies often suffer broken blood vessels and brain hemorrhages, strokes, and tears in the brain and brain stem. In many cases, shaken babies die. The effects are almost always catastrophic and long-lasting. A penetrating injury occurs when an object penetrates the skull and brain. These injuries can be fatal if not promptly treated, because they often cause severe bleeding, blood clots, disrupted oxygen supply to various brain regions, and other immediate side effects. Removing the object that penetrated the skull may worsen the bleeding or further damage the brain, so never remove an object lodged in the skull. You and your doctor will have to assess whether the benefits of removal and surgery outweigh the risks. In many cases, doctors opt to leave small objects—such as bullets or pellets—in place. Bullets are the leading cause of penetrating brain injuries, killing 91% of the people they affect. Through-and-through injuries occur when an object enters the brain and exits at another location. These penetrative injuries tend to cause damage in multiple locations, as well as catastrophic bleeding. Additionally, some objects ricochet within the skull prior to exiting, causing even more significant damage. People who survive penetrating injuries may need repeated brain surgeries, high doses of antibiotics, and an assortment of therapies designed to restore function. Ultimately, the degree of disability and the prognosis depend on the location of the injury, its severity, whether there was a brain bleed, and similar factors.